The crowd was in frenzy, the ambience was electrifying, and the loud speakers were in full blast, pulsating with beautiful and rhythmic African music. 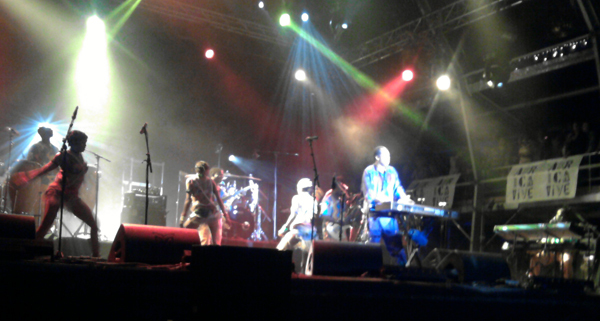 It was the king of Afro beat, Femi Anikulapo Kuti live on stage in Madrid. The Universidad Complutense de Madrid, where the event took place, was inundated with fans trooping in to watch this impressive African music icon. The event, Africa Vive, was organized by Casa África in commemoration of the African Day. The night was full of rhythm with different artistes performing. But the performances of the other artistes pale compared to Femi’s who was obviously the main star of the night. The fervor of his performance, the color and energy of his musicians and the glamour of his sensual dancers took the audience into a different dimension. One could see people spontaneously breaking into dancing, in groups or singly, to his highly movable music. 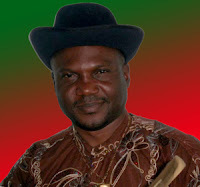 Femi, son of the legendary Fela Anikulapo Kuti, continues with the musical legacy of his father – music laced with socio-political parody, used as an instrument of social criticism and change, to empower the masses. But while the music was raging, unfair socio-systems, economic injustices and African structural imbalances suffered by the African masses, were issues that were very far from the minds of the predominantly Spanish crowd that was having a good time. But at the end of Femi’s performance, as I walked away from the venue with my pan-African friends, these above-mentioned issues were heavy on my thought. It re-sharpened my resolve to do everything I can to bring attention and lasting solutions to the African reality. I am asking everyone to join me.